The British Mk V Light Tank was an improvement in firepower to the Mk IV. It retained the same .303 MG but had a .40 MG added giving the Mk V a better anti-tank (light) capability. The vehicles turret was also enlarged to accommodate two crew, bring the total to 3 including the driver. The British Army took delivery of 20+ vehicles around 1935. 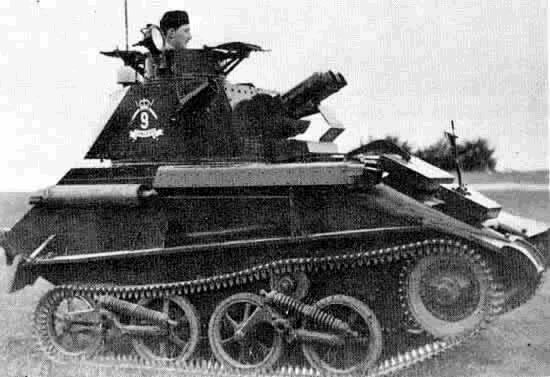 They were also used as experimental Self Propelled Anti-Aircraft Guns, mounting different new turrets during the War.